By Saidi Omary from Tanzania. 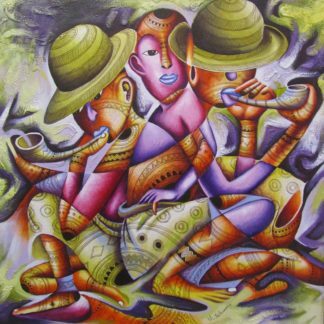 Within the Tinga Tinga school of painting, Saidi is one of the most creative painters. While many Tinga Tinga artists paint a particular animal usually in the same position, Saidi places animals in different contexts and they appear to interact with eachother and with their environment. 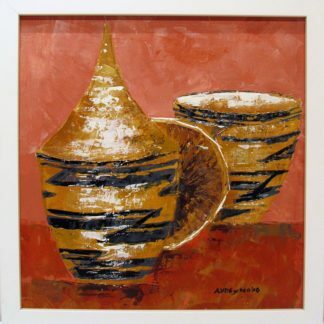 He is a popular painter due to his mastery of detail and skill at mixing enamels to create highly colourful paintings. 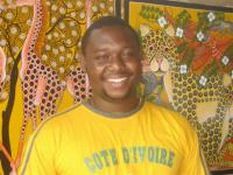 His work has been exhibited in the National Museum of Tanzania, Embassy of France (Dar es Salaam), in Copenhagen, Sweden and UK. 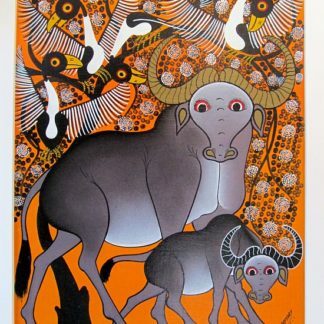 The Tinga Tinga Art movement is named after its founder Edward Tingatinga who started painting animals and village scenes on wooden boards in 1968. It provided him and his wife additional income to his regular job at a Medical Centre. A few years later he started to supply the National Arts Company with paintings for the tourist industry providing financial stability for his family. He took on some young relatives as his apprentices but his life was tragically cut short in 1972. 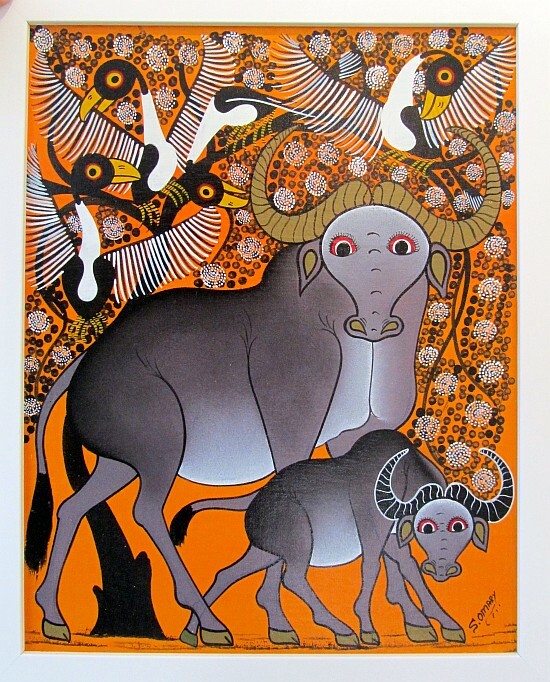 His apprentices continued the typical Tinga Tinga painting style and over the years have passed on their knowledge and skill to new generations. The original painting style is plain with little adornment. 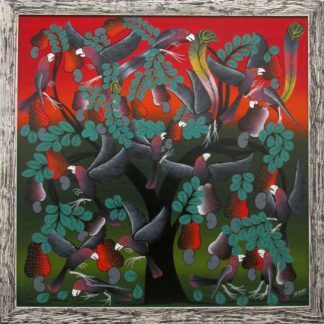 Todays Tinga Tinga painters use an abundance of flowers, dots, birds and leaves to fill the canvas. 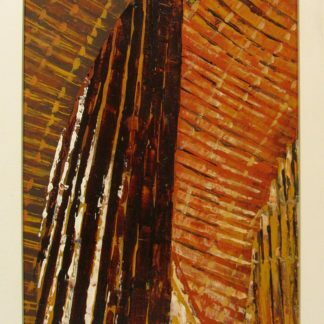 The paintings are still characterised by the use of oil paint and strong colours. 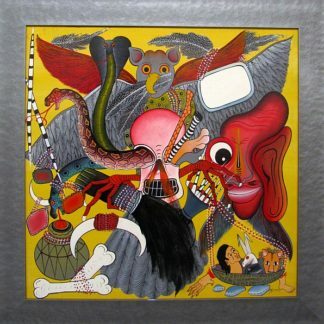 In 2010, a 1970s Tinga Tinga painting achieved the record price of $51,070.